The beauty, and madness, of the modern NFL ‘off-season’ is there is no off-season. The coaching carousel, free agency, the draft, roster cuts: as soon as one season ends (congrats, Patriots fans), the next begins. And it’s the same for Madden 20. 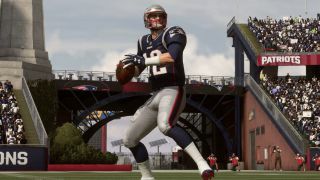 Its predecessor, Madden 19, still offers months of shelf life, but that hasn’t stopped devoted fans – and, more pertinently, critics – looking towards next year and all the Madden 20 features yet to come. Throwback to the exceptional Madden 05 and you’ll find a game where hiring defensive and offensive co-ordinators was critical to the franchise experience, while the appointment of a new head coach to a rival felt like a literal game-changer. It never feels that way now. Which is absurd, because the annual search for new coaches is one off the most exciting parts of that everlasting off-season. The scramble for a bright young co-ordinator or offensive mind (preferably with some kind of attachment to Bill Belichick or Sean McVay), and/or the annual will-he-won’t-he fiasco surrounding Josh McDaniels: these chases and storylines need to be reflected in game for Madden’s franchise mode to feel truly authentic. Madden 19 Ultimate Team has been known to drive FIFA 19 junkies wild with envy over the stuff it gets right, such as upgradeable player cards. But it isn’t perfect, and one major issue is common between both sports’ card-collecting modes: position flexibility. Or the lack thereof. Ooh, this is a good one, which would potentially transform sports games across the board. This is an outstanding idea. In any team sport, athletes a tier below elite are selected because of what they bring to the overall squad or roster rather than a single arbirtrary rating. Matthew Slater’s Madden OVR is 68, yet he has three Super Bowl rings as a key member of the Patriots’ special teams unit. Removing overall ratings in this way would drive players to put together a team based on their actual tactical approach, rather than simply selecting the best players based on a mythical ‘overall’ rating.